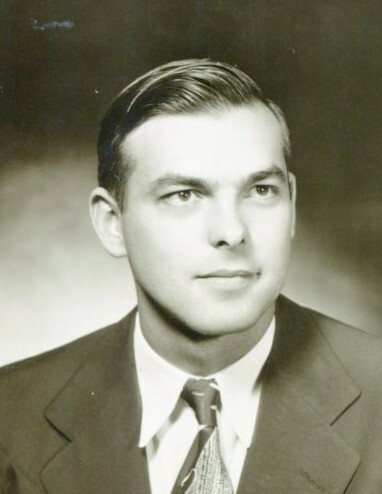 MADISON - John Irwin Zerbe, age 92, passed away on Friday, April 5, 2019 at St. Mary’s Hospital, Madison, WI after a brief illness. He was born on June 4, 1926, the son of Allen and Rosa Zerbe, in Sacramento, PA. Upon graduating from high school, John entered the Navy and served as a fireman on a ship until the end of World War II. He then continued his education at Penn State Mont Alto and earned his PhD from New York State College of Environmental Science and Forestry under the GI Bill. On September 1, 1951, John married Ruby June Dietrich. They celebrated 67 years of marriage. They were blessed with three children, eleven grandchildren and six great-grandchildren. John’s hobbies included camping, hiking, backpacking and researching genealogy. He treasured walking the Syttende Mai race every year. John worked for NFPA and then the U.S. Forest Products Lab as a Wood Scientist. After retirement, he continued to volunteer at the Lab. John enjoyed Toastmasters and singing in the Madison Mannerchor. He was a world traveler and also an active member of Good Shepherd Lutheran Church. John is survived by his children; Lynne (Roddy) Durst, Eric (Beth) Zerbe, Donna (Roger) Barker; beloved grandchildren, Tim, Lauren, Katrina, Sarah, Matthew, Emily, Abigail, Brittany, Katie, Rebekah and Noah; great-grandchildren, Ethen, Kolin, Autumn, Phoenix, Grant and Annalise; sisters-in-law Orpha Troutman and Judy Zerbe, and many nieces and nephews. He was preceded in death by his wife, Ruby, brother Daniel and sister Elsie. A celebration of life will be held at GOOD SHEPHERD LUTHERAN CHURCH, 5701 Raymond Road, Madison, on Tuesday, April 16, 2019 at 11:00 a.m., with a luncheon to follow. Visitation will be held at the church from 10:00 a.m. until the time of the service.